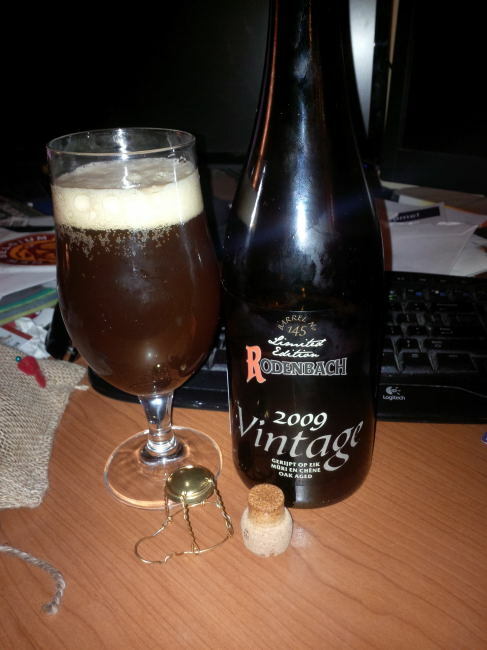 From Belgium’s Brouwerij Rodenbach comes their “2009 Vintage Oak Aged Ale (Barrel No. 145)” a flanders red ale. The beer pours a deep reddish colour with a tan head. The aroma consists of malty, balsamic vinegar, oak, apples, dark fruits, cherries and some sourness. The flavour is of tartness and sweetness followed by dark fruit, apple, cherries, mild funk, oaky and balsamic vinegar. The alcohol content comes in at 7%. 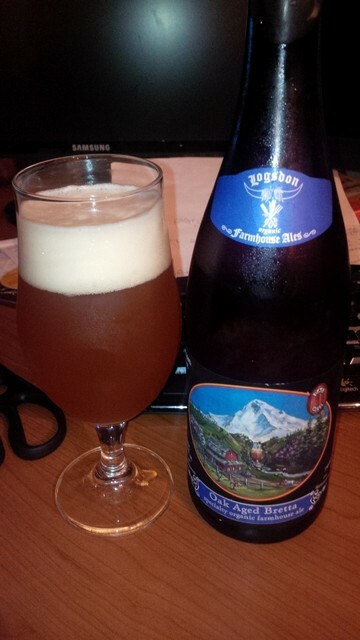 This is an amazing vintage of this great Flanders red ale! From Vancouver’s Storm Brewing comes the “Jame’s Sour Mead & Cider Blend” a special blend made for the Alibi Room. This may technically not be a beer but it falls right into the sour ale style and as such works on the beer blog. For those that do not know Mead is a wine made with honey instead of grapes. The drink pours a yellow colour with no head. The aroma consists of fruits, sourness and vinegar. The flavour is of cider, lemon, apple, honey, sourness and a bit of vinegar. The alcohol content comes in at an approximate 5%. This was porbably the best beer/drink that I had the whole night while at the Alibi Room! 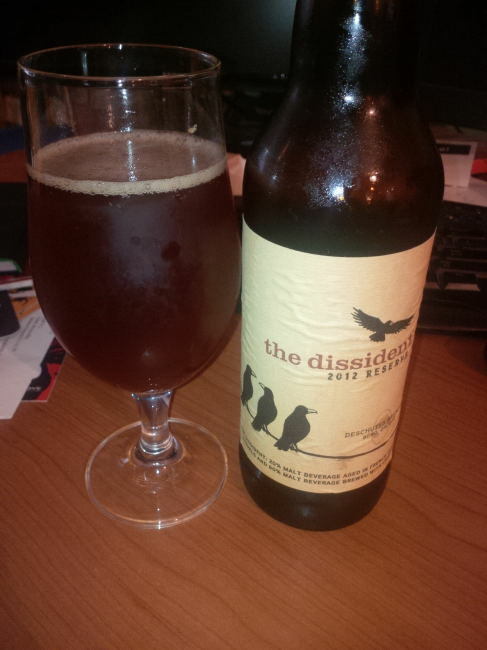 From Bend Oregon’s Deschutes Brewery comes “The Dissident 2012 Reserve” a Flanders Oud Bruin style sour ale. This vintage of bottle had a best after date of 8/20/13 and now that it is September 3, 2013 it was time to crack the second of three bottles I had of this amazing beer. 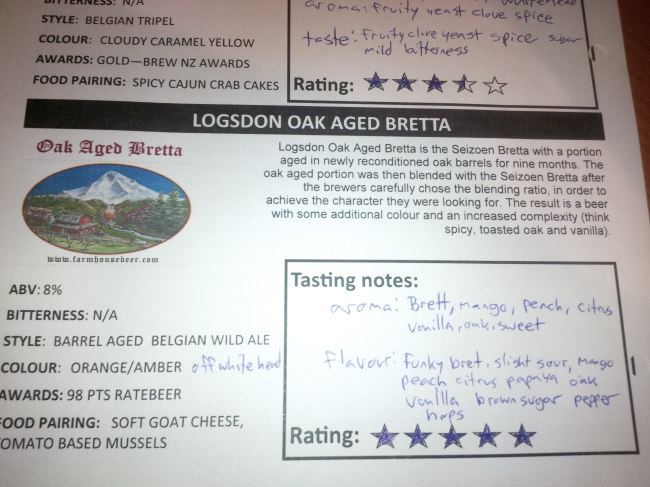 This beer is aged for a full 18 months in wine barrels before release and they recommend a full year of ageing in bottles. This Oud Bruin poured a reddish colour with an off white head. The aroma consists of vinegar, cherries, dark fruits, red wine and oak. The flavour is of red wine, cherries, dark fruits, oak and a mild sour/tart, vinegar finish. There is a very mild alcohol warmth while drinking but it is minimal. 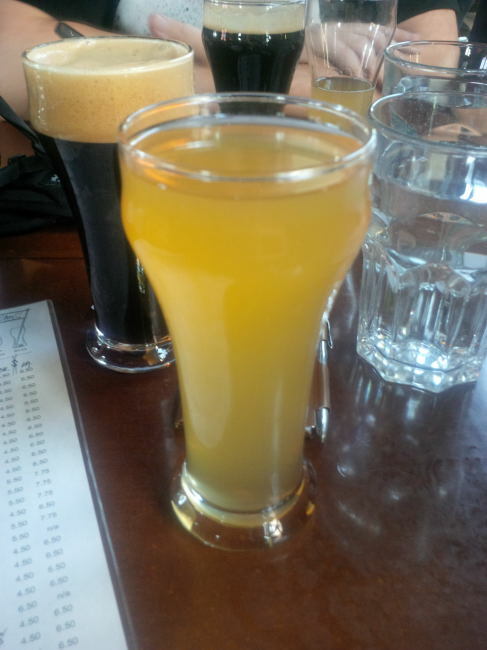 The alcohol content comes in at 11.4% and the IBU is 18. Over the first year in the bottle this beer has really aged amazingly. The sourness has stepped down some while the malts and fruits have picked up. I am excited that I have one more bottle of this vintage in my Cellar! Commercial Description: The Dissident is an Oud Bruin, a distinctive Flanders-style sour brown ale, with a heavenly aroma and flavor. Our first and only wild yeast beer, we use Brettanomyces to give The Dissident its characteristic sour taste. Our stiffest brewing challenge, it must be fermented in isolation from our other beers for a full 18 months, partly in pinot and cabernet barrels. The words coddled and “worth it” come to mind.